Confirmed for April 13th, the Brooklyn-based listening session will take place at Future Space in collaboration with Southern Lord Recordings and The Tinnitus Music Series. The experience will feature a tower of loudspeakers, engulfing walls of fog, and throbbing color. A congregation of guests are invited to traverse the outer zones of consciousness and expanses of the cosmos through sound/time and sound/energy. This event is free, open to the public, and available on a first come, first serve basis. See SUNN O))) on the road April 17th-28th and RSVP for a Life Metal listening session April 13th at Future Space in Brooklyn HERE. 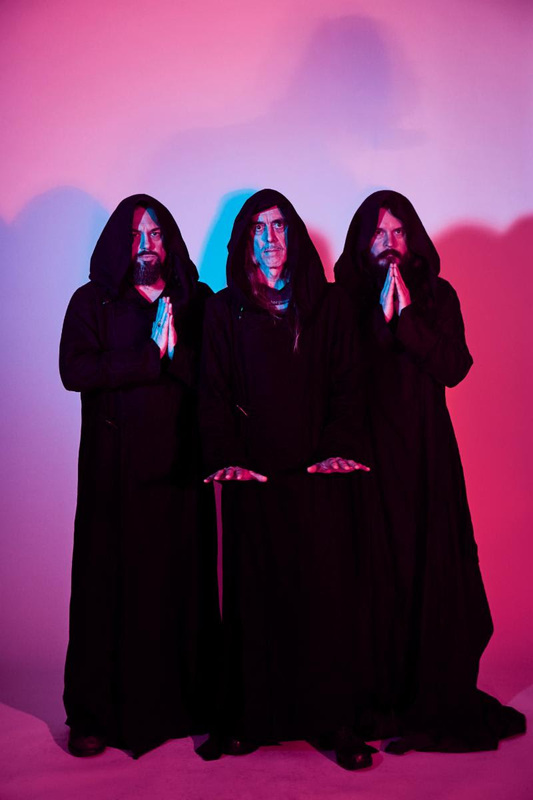 Life Metal, their first studio album in four years, will be supported by SUNN O)))‘s first US tour since 2017 and the premier stateside tour of their 2019-2020 season, including a newly announced stop in Pittsburgh at Carnegie Homestead Music Hall, as well as stops at The Masonic Lodge in Detroit, Howard Theatre in DC, Agora Theatre in Cleveland, Rockefeller Chapel in Chicago (second show added), The Caves in Pelham, Tennessee, and Brooklyn Steel in NYC. Dates and details can be found below. SUNN O))) will collaborate with Record Store Day (#RSD19) to release Life Metal for the first time on CD and vinyl on April 13th via USA/UK/EU indie retail. April 26th marks the official release date of the digital and all other vinyl variants via Southern Lord, and CD and LP will be available to order fromSUNN O))) and Southern Lord stores on April 19th. This is a free Pitchblack Playback event, there will be two sessions commencing approximately 7:00pm and 8:30pm. Limited space available, RSVP at this link. RSVP ticketed event, from 7:30pm-10:30pm. The album will be played back in its entirety at maximum volume. RSVP at this link.